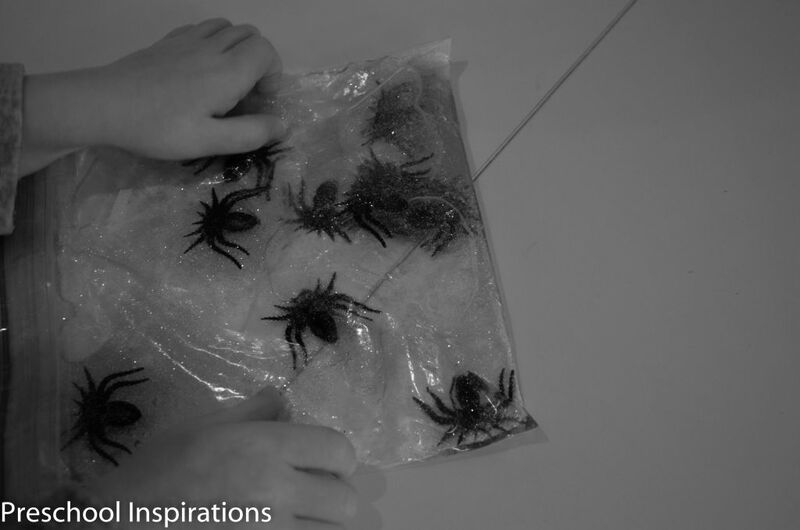 It’s day four of spider week at Preschool Inspirations! 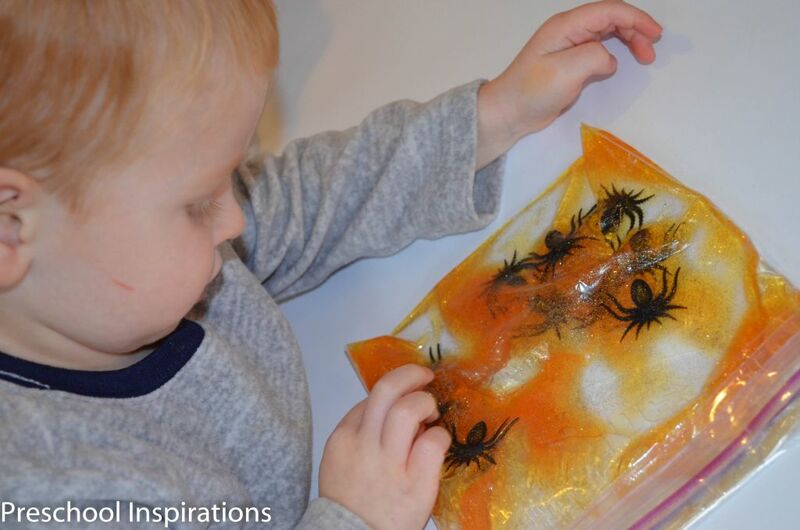 Here is a great sensory bag to have around Halloween. We spend lots of time savoring sensory bags, so I like to try and rotate them out based on a different theme. I thought that our small black spiders would be perfect to fill in an orange one. I definitely added glitter too! We have a bottle of glitter paint around, and it’s just so great for adding glitter to almost everything. I figured it would also make it more appealing for those who are slightly less drawn to the spider squishy bag. Now the spiders seem them less intimidating. 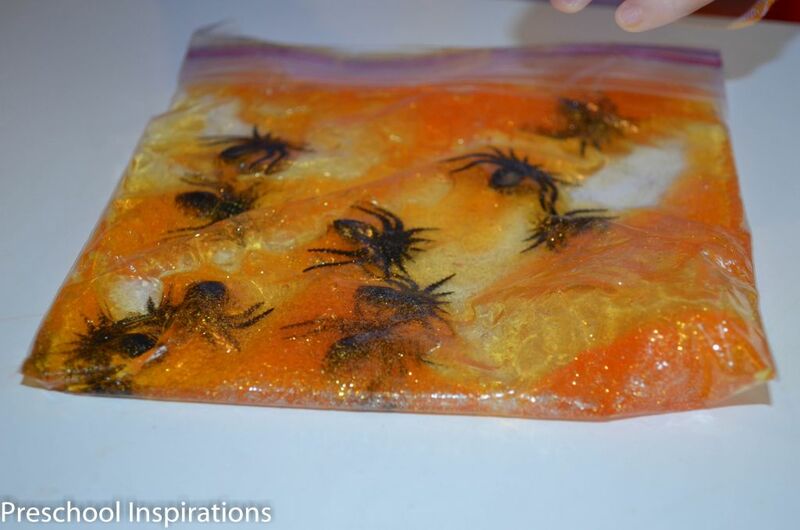 Put about 1/3 of a bottle of hair gel into the freezer bag and add the liquid watercolor, spiders, and glitter. Fold the top of the bag over and tape it to secure the bag. Voila! These bags seem to hold up fairly well. I do have to remind them from time to time that I put the tape on it on purpose. This spider squishy bag has provided us tons of tactile enjoyment. I love how your mind works Miranda! That is a brilliant idea. I’d love to see the finished product!